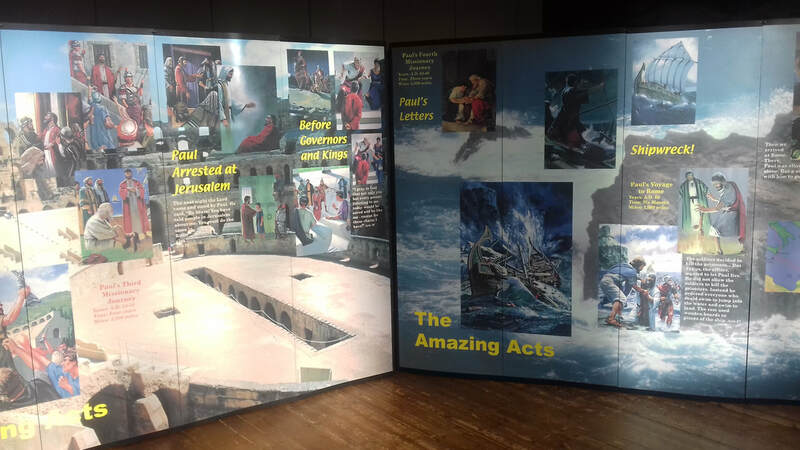 On a Tuesday and Wednesday in November each year lots of children and some adults are taken on an amazing journey back to Bible Times to see the amazing journey that Jesus made so he could be our amazing saviour. 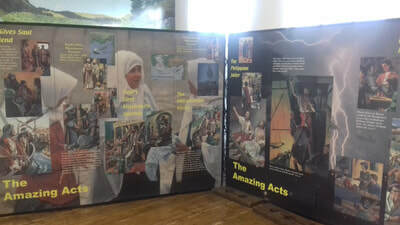 The whole exhibition is courtesy of "Foundation Matters" and was presented by Jem Hudson and many helpers from the church and also involved food tasting and dressing up and quiz sheet. They were given one of the gospels in an information pack as they went back to school. All have a great time learning that Jesus must not be ignored. 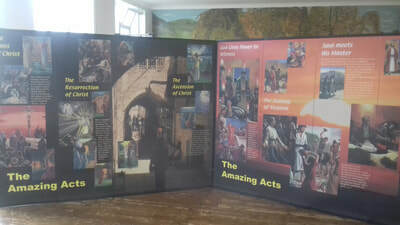 If your child enjoyed the exhibition why not let them come along to "The Kids Club" and "Keep It Real" every Tuesday in term time in the church hall on Handel Street at 6.30pm to 7.30pm. Its free and fun. Ashwood Spencer Accadamy came over two days..... We are delighted that they are also holding their Carol Services at the church again this year. You may also like your children to go to "Pine Lakes" at Stenson for a residential activity holiday. See details on their website.